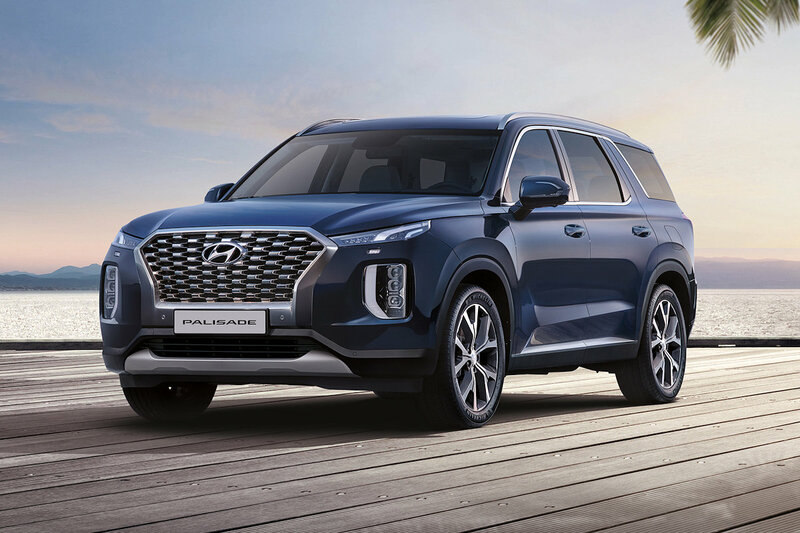 Evoking imagery worthy of being called a flagship, Hyundai Asia Resources, Inc., brings in the Palisade—Hyundai’s newest three-row SUV that combines exceptional roominess with a bold, distinctive design and premium interior feel and amenities. The Palisade’s styling conveys dignity with style in an understated theme that demonstrates clear differentiation worthy of a flagship SUV. From the front, a dominant, bold and wide cascading grille clearly represents a premium SUV. Separated composite headlamps and a vertically-connected forward lighting signature create a strong and distinctive front demeanor. A powerful, extended hood profile creates an impressive road presence, while bold C-pillars and a panoramic glass side graphic convey generous third-row spaciousness. Full volume over-fenders and body sides offer muscular detailing. The rear view emphasizes a wide and stable stance via sinuous detailing and a vertical LED rear taillamp design. The interior design combines a sense of relaxation and comfort creating a serene environment with 7-passenger seating standard for family adventures. It offers premium quilted Nappa leather, while a smooth woodgrain trim wraps around the instrument panel. A one-touch second row seat allows for easy access into and out of the third-row seat. For more convenience, the third row offers power-folding/unfolding and reclining seats. The Palisade also features an industry-first, innovative new roof vent diffuser design that can provide a focused, partially-diffused or fully-diffused stream of air to rear passengers. This new diffuser vent design provides quieter rear air conditioning airflow, draft-free operation, more uniform distribution of air and the capability for a focused stream of air whenever desired. Front and rear suspension width was maximized on Palisade, for enhanced roll stiffness and stability. The Palisade front steering knuckles and rear carriers are made of aluminum, while front lower arms have been optimized and lightened via a new engineering design, resulting in reduced unsprung weight and improved responsiveness. For the Philippine market, Hyundai installed the R2.2 turbo diesel engine. In this guise, it has 200 horsepower and 442 Nm of torque. It also features a shift-by-tire 8-speed automatic, and probably to differentiate it from the Santa Fe, Electronic All-Wheel Drive (HTRAC) with Multi-terrain Control. The Price for the 2020 Hyundai Palisade is pegged at P 3,240,000.